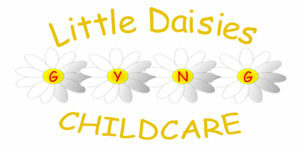 Little Daisies is a Community based Childcare Centre located in the centre of Gorey Town, Co. Wexford. We are committed to providing professional, caring, child focused care and education for every child in our centre. Our childcare team members are dedicated, motivated and fully qualified to ensure that each child receives the best possible educational start in a caring and supportive environment. At Little Daisies Childcare Centre, we aim to provide a safe, caring and friendly environment which enables children to relax and experience maximum enjoyment during their time attending our facility. Children learn through play. Our Childcare educators plan and create the play based environment both indoors and outdoors. A play based curriculum provides children with hands on experiences and encourages children to initiate play in which the child directs their own learning alongside the childcare educators. At present we have 25 Childcare Educators. All staff regularly attend in house training and accredited training in the early Childhood & Education field. The highly qualified, experienced staff at Little Daisies have worked together for many years and continue to focus on creating a welcoming, friendly and positive learning environment. Their qualifications range from Level 5 Childcare to Level 8 in Early Childcare & Education. All staff are trained in basic First Aid/CPR/Defibrillator usage, Manual handing, Food & Safety, Hygiene Safety Statement Training and Fire Safety. The CCS Scheme can entitle families in receipt of Social welfare payments/medical or G.P. cards to reduced childcare rates. A number of childcare places are reserved for children of qualifying parents who are attending a course in any of the following programmes: Youthreach, VTOS and FET (i.e. specific skills training and traineeships). Courses for secondary school students completing Junior or Leaving Certificate cycle and Back to Education Initiative (BTEI) courses also qualify for CETS. The ECCE Scheme has been introduced to give children access to a subsidised pre-school for two years prior to starting primary school.